Independent stores are increasingly using web-based crowdfunding campaigns to stay competitive against online goliaths like Amazon. What the internet takes away, it can also give back. At a time when Amazon.com's e-book pricing and its distribution tactics are more controversial than ever, Oakland's Diesel Books on College Avenue is the latest Bay Area bookstore to turn to the web for help — with an internet crowdfunding campaign. Celebrating its 25th anniversary this year, Diesel has set a goal of raising $84,000 between September 25 and October 25. Pummeled by the online dominance of Amazon over the years, independent bookstores around the Bay Area and across the country are increasingly using crowdfunding campaigns launched through sites such as Indiegogo and Kickstarter to help them stay competitive. Booksellers are looking to online donors to fund the purchase of inventory, support relocations to bigger spaces, or merely keep the lights on. Having started in 1989 with a store in Emeryville, Diesel co-owners John Evans and Alison Reid are well acquainted with the independent bookstore roller coaster ride. Over the years, they have competed with Borders, Barnes & Noble, and other chain stores, grappled with Amazon, and survived the Great Recession. In addition to the Oakland site, Diesel has a new location in Larkspur, plus a Southern California store in Brentwood. Their store in Malibu closed recently. Encouraged by some of their more tech-savvy employees, Evans and Reid decided to launch an Indiegogo campaign for their Oakland outlet, and so far, the reaction from customers has been positive. "People are curious about it," Evans said. "For some people, it causes anxiety: 'Are you closing?'" Evans is quick to assure patrons that there are no plans to shutter the Diesel store on College, regardless of whether they meet their crowdfunding goal. Supporters who pledge anything from $15 to $1,500 are eligible to receive a variety of perks, including buttons that state "Reading in Oakland Since Before It Was Cool"; Kobo tablets; and 48 books specially selected by the store's booksellers. The top prize is a one-of-a-kind signboard created to promote the fictional record store in Michael Chabon's novel Telegraph Avenue. Booksellers say this is a good time for fundraising campaigns. Much of the doom and gloom that surrounded independent bookstores in Northern California for years has dissipated recently. Sales are up in many Bay Area stores, and several new stores have opened in the past twelve months (see our recent cover story, "Books Are Dead. Long Live Books," 6/30). "I have to tell you, for the most part, things are going extraordinarily well," said Hut Landon, executive director of the Northern California Independent Booksellers Association. "I have stores that are expanding their locations or opening second locations. Most stores' sales are either steady or up this year compared to last." Last March, San Francisco's Adobe Bookshop raised more than $61,000 with an Indiegogo campaign — it needed the funds after a rent increase forced the store to move from 16th Street to 24th Street. On September 30, Laurel Book Store, a fixture for years on MacArthur Boulevard in Oakland's Laurel district, completed an Indiegogo campaign to help fund the store's move to downtown Oakland. Donors pledged $32,000, or 64 percent of the store's $50,000 goal. But not all online fundraising campaigns have been successful. Modern Times Bookstore in San Francisco only raised 17 percent of its $60,000 goal last year in an Indiegogo campaign. Campaigns with a specific goal seem to fare better than open-ended funding pleas, Landon said. In the case of Laurel Bookstore, he said, "they were raising that money to expand to a new location and really make it tip-top. They weren't trying to raise money because they were going to go out of business. That's really the key." Diesel also has been fairly specific about how it will use donations. Evans and Reid are earmarking some of the money raised through the campaign for an upgrade of the store's computers. The whine of a dot-matrix printer is still part of the background soundtrack at Diesel, and the inventory system runs on concurrent DOS — cutting-edge tech back in the Eighties, but now somewhat embarrassing. Evans said also he plans to expand Diesel's roster of events for children at the Oakland location, hosting more visits by kids' authors and illustrators and guest storytellers. The store also may buy new shelves and furniture, install environmentally friendly lighting, and receive a fresh coat of paint. 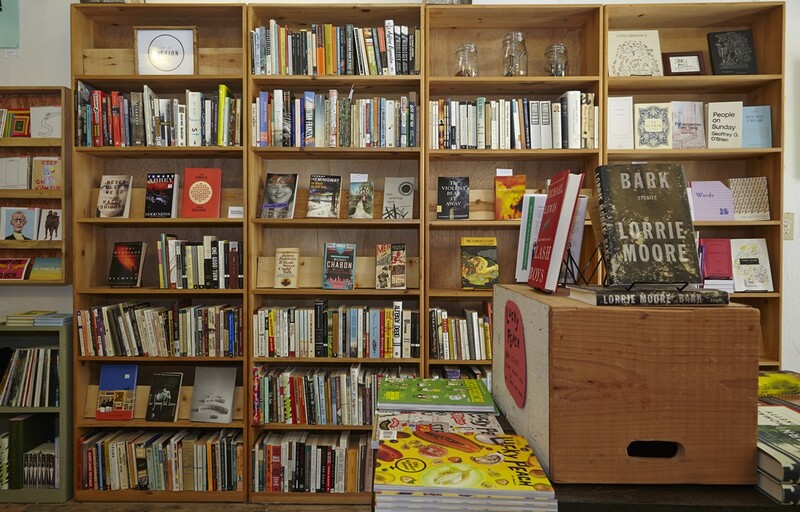 The recent resurgence of independent bookstores in the East Bay and successful crowdfunding campaigns show that the book-buying public appreciates what bookstores can do for a community, Landon said. "The fact is more and more people are understanding the value of shopping locally and keeping the money in the local economy," he said. "When you shop online with anybody outside the state, that money is gone. "The shop local movement has gotten bigger and bigger," he continued, "and that has helped bookstores across the country." What hasn't helped bookstores, publishers, or authors is the ongoing battle over e-book pricing between Amazon and Hachette, the French publishing consortium. During negotiations, Amazon has actively discouraged the sale of Hachette titles, refusing to take pre-orders and delaying delivery well past the usual few days. "Amazon is very predatory, in every way," Evans said. "It's very destructive. Yet people (rely) on it for a lot of things, and they don't realize how horrible they are. Hachette will get all the attention, but independent presses just get squeezed." Whatever the outcome of Diesel's campaign, Evans said the store's existence doesn't depend on its crowdfunding success. "We're dependent on the same thing we've always been, which is how many people come through the door and actually buy books here."